A letter launched it all … wealth, love, and forgiveness, along with a town full of suspects. The door to the conference room swung open banged against the stopper coming to rest against a snake-skinned boot. A tall man, holding a buckskin-colored hat, stood just inside the doorway. BJ’s breath hitched then stopped altogether until her starved lungs screamed for air. A scowl rode deep over the man’s pinched brows. His cold, blue-eyed stare pinned BJ with unspoken accusations. And if she were any judge … hate. All uncertainty to the man’s identity was blasted to smithereens by the unruly, sandy lock of hair falling over the scar above his left eye. The same scar she had accidentally given him as a child. His Irish good looks, rugged and bronzed by the sun, could still sabotage her heart. Without a doubt, the man shooting the thunderous gaze in her direction was a mature, rigid-looking Jace–once upon a time her own Jason O’Connell. Newly edited and updated cover. 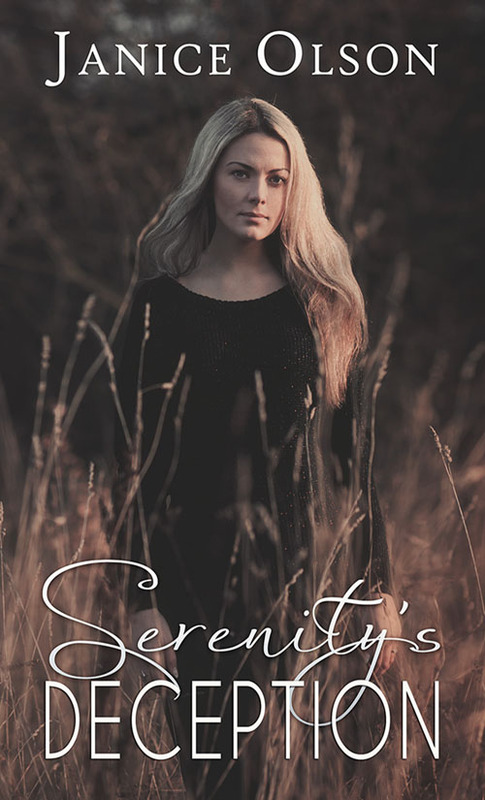 Serenity’s Deception is the first book in the series Texas Sorority Sisters. It’s set in a fictitious city northeast of Austin, Texas. Like so many small cities in Texas, Serenity has a town square with a bucket load of down-home charm but exudes small-town prejudices. I had fun creating Serenity and building the story around BJ Spencer and Jason O’Connell. I hope you will enjoy reading the book as much as I enjoyed writing the story.